The Battle of Brunanburh, AD 937. Illustration by Alfred Pearse. 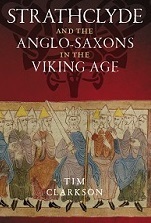 Strathclyde and the Anglo-Saxons in the Viking Age is a narrative history of political relations between the North Britons and the English in the early medieval period or Dark Ages. 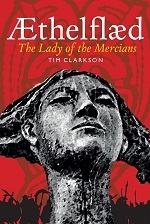 The book puts a long-overdue spotlight on a people described in early English chronicles as Cumbri or Cumbrenses (‘Cumbrians’), Clutenses (‘Clyde Folk’) and Straecledwealas (‘Strathclyde Welsh’). They inhabited a territory known as ‘Cumbria’, this being a name for the kingdom of Strathclyde at the time of its greatest extent (late ninth to early eleventh centuries). The main language of Strathclyde was Cumbric, an ancient Celtic tongue similar to Old Welsh but different from the Gaelic speech of the Scots and Irish. The kingdom’s native inhabitants were descended from groups of North Britons whom the Romans had first encountered during military campaigns in the first century AD. ‘Cumbria’ is more familiar today as the name of an English county created in 1974 from the old counties of Cumberland and Westmorland together with parts of Lancashire. What may be less widely known is that the county’s origins are closely bound up with the history of Strathclyde. The modern names ‘Cumbria’ and ‘Cumberland’ preserve a distant memory of the Cumbri of early medieval times, a people whose territory included Carlisle and the Solway Plain as well as the long valley of the River Clyde. The kings to whom all these lands owed allegiance ruled from a centre of power located at Govan near Glasgow. How the district around Carlisle fell under the control of the Govan kings is examined in Strathclyde and the Anglo-Saxons in the Viking Age, as is the process by which these same lands eventually passed into English hands. Early medieval Cumbria, the realm of the Strathclyde Britons. The pre-1974 county of Cumberland. Large parts of the book deal with relations between the kings of Strathclyde and an ambitious West Saxon dynasty represented by the descendants of Alfred the Great. Contacts between these two sides, although not always hostile, were rarely conducted on friendly terms. Powerful West Saxon monarchs such as Edward the Elder and his son Athelstan recognised the importance of Strathclyde as a potential ally or foe in the long struggle against Viking warlords. West Saxon dealings with the ‘kings of the Cumbrians’ were therefore conducted against the backdrop of a larger political picture involving other powers such as the Scots, the Welsh and the Vikings themselves. Negotiations sometimes led to oaths of friendship and pledges of peace but the threat of conflict was never far away. Athelstan, king of the English 924-39. The first wars between the North Britons and the early English were fought in the sixth century but are not examined in detail in this book. The earlier period to which they belong is discussed by me at greater length in The Men of the North: the Britons of Southern Scotland, published in 2010. The focus of Strathclyde and the Anglo-Saxons in the Viking Age is on a later era when the Scandinavian presence in Britain caused major political upheavals from which, eventually, the great medieval kingdoms of Scotland and England both emerged. This blog is a place where I’ll be mentioning things relating not only to topics in the book but also to the Viking period in general. Expect to see a fairly broad range of posts. There will, inevitably be some cross-posting between my other blogs Senchus (early medieval Scotland) and Heart of the Kingdom (early medieval Govan). Hurrah! Looking forward to it. I refer to ‘Men of the North’ all the time and am sure that ‘Strathclyde and the Anglo-Saxons’ will form the same role for the later period.